CAPS Embedded psychologist Laura Monshau was recently featured in a Rackham Graduate School Q&A on "Grad Student Well-Being." Dr. Monshau shares about common graduate students issues, resources, recommendations, and general reflections on grad school and mental health. A recent article entitled, "How College Students Can Find Mental Health Services On Campus," has featured CAPS Embedded Model and Wolverine Support Network. Find the full article HERE. CAPS Director, Todd Sevig Ph.D., shared an update to recent advances in providing support to UM students. Dr. Sheryl Kelly, Coordinator of CAPS Inclusive Excelleance Initative, discussed CAPS support in a recent article, "False hate crime reports spur further concerns campus saftey and inclusivity" in the Michigan Daily. A lot of students are being impacted by current events, so when they come in, I ask how they are doing in the current campus climate, Kelly said. We have many students that come in who specifically identify that as a problem. CAPS was featured in a recent story reported by News 4 entitled "How to crush your fear of failure in college."  University of Michigan students were interviewed on topics including pressure, paying for college, and plans after graduation. In additon to many CAPS and campus resources, the report specifically featured the Stressbusters APP designed for UM students. In a recent Michigan Daily article, "CAPS expands programs, releases new suicide prevention videos," Kaela Theut (Daily Staff Reporter), describes CAPS recent and previous work in suicide prevention at UM. Theut shared highlights from the new videos released by CAPS, as well as comments from CAPS Coordinator of Suicide Prevention, Jamye Banks Ph.D.
On Novermber 3rd, 2016, the Michigan Daily covered CAPS efforts and perspective on election-related stress. In addition to interviewing students, two CAPS staff members offered their perspective on trends and support available on campus. On Monday, October 10th 2016, CAPS Director and Associate Director of Community Engagement and Outreach spoke to LSA Student Government about how students can continue to support mental health on campus. Students organized an entire day of mental health events, which ended with the panel. THIS Michigan Daily article featured CAPS support to treat Seasonal Affective Disorder, or SAD. The Daily interviewed two CAPS staff on the topic, Dr. Vicki Hays and Dr. Jim Dolan. The Michigan Daily surveyed 400 students with a focus on imposter syndrome. The survey looked at how UM students compare themselves to others in relation to intelligence. In THIS ARTICLE, Dr. Christine Asidao was featured as an expert from CAPS. Hurricane Harvey and Irma have caused devastating losses that have significantly impacted communities, individuals and families. We realize that many of our students at the University of Michigan may be directly or indirectly impacted by the devastation that these natural disasters have caused. The aftermath of these storms cause chaos and can lead to emotional upheaval and a sense of instability within one's environment, especially if you are from, or have family in, the affected areas. We can experience a wide range of reactions and feelings. It’s crucial that I … as director of CAPS — we, as CAPS — are here, engaging, listening, answering questions,” he said. “In the last approximately 15 years, we’ve almost doubled in size. We are starting a national search for new positions. We have been newly funded, if you will, for six new positions in CAPS.